Heat oven to 350°F. 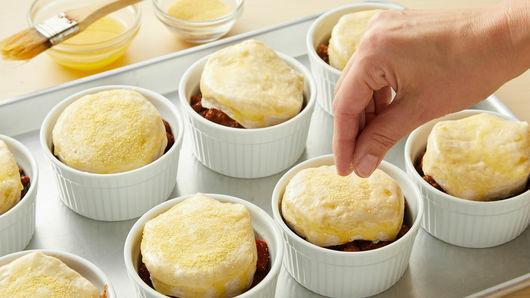 Place 8 (8- to 10-oz) ramekin cups on large rimmed baking pan. 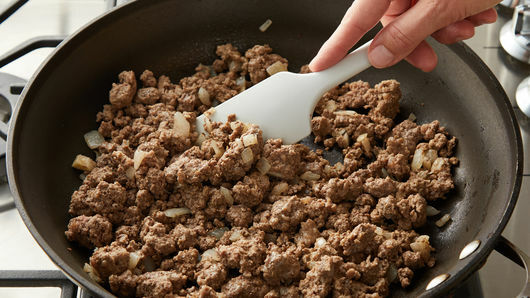 In 12-inch skillet, cook beef and onion over medium-high heat 5 to 7 minutes, stirring occasionally, until beef is brown; drain. Add diced tomatoes, chili beans, Worcestershire sauce, chili powder, salt and pepper to beef in skillet. Heat to simmering; cook 3 to 5 minutes, stirring frequently, until bubbling and slightly thickened. Remove from heat. Divide chili mixture evenly among cups. In small microwavable bowl, microwave butter uncovered on High 15 to 20 seconds or until melted. Stir in honey. Separate dough into 8 biscuits; place one on top of each ramekin. Brush tops of biscuits liberally with melted butter mixture; sprinkle with cornmeal. Bake 21 to 26 minutes or until biscuits are golden brown and baked through. If you don’t have ramekins at home, you can substitute with oven-safe custard cups. 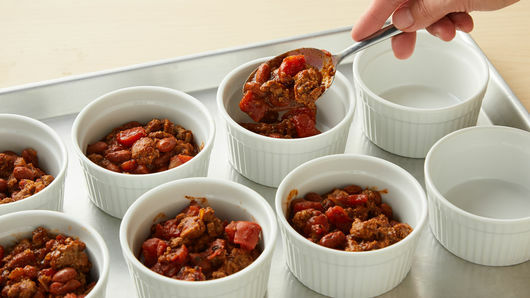 For more chili flavor, increase chili powder to 2 tablespoons. Or, for added heat, stir in 1/4 teaspoon crushed red pepper flakes or ground red pepper (cayenne). Don’t like cornmeal? You can leave the biscuits plain after topping the chili mixture, if you choose. You can store leftover chili mixture in airtight container 3 to 5 days. When you’re ready to eat, reheat on stove. 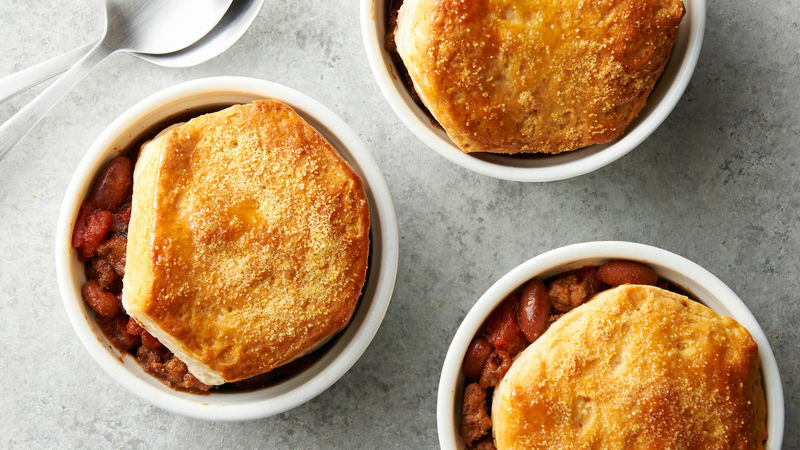 Chili is a popular dish because it’s easy to make ahead of time and stash in the freezer to have on hand for future busy nights. You can freeze this homemade mixture (without the biscuits) in sealed, freezer-friendly containers up to 3 months.